This is an article about Mother, my wife and lover under Christ. When you are lucky enough to a have a Mother, you must treat her right and with proper respect. Not everyone has a Mother, but I do. I feel lucky to have Mother. Mother and I have a special relationship. We met at Church, where else is there. I saw her brown hair sitting on top of her head like the back half of a cat and thought, “There she is, Mother.” She carried around a golden cross with the word “yes” on it awaiting my proposal, which eventually came, like all men do (God said we must). It is because of Mother that I may have such a busy career in politics and evangelizing. Mother keeps the house clean and the things in order. When I go to work every day, Mother dusts every crucifix in the house, pulls a roast out of the oven and keeps it hot with magic, and then sits on the couch waiting for me to come home. Mother is very special, especially when you think about how many women in the world are whores. That is why it is so important to make her feel appreciated on Saint Valentine’s Day, which is like Christmas but for genital soaking. Women do not have a developed sense of morality or aesthetic taste, but need to be made to feel important, or else they will become colicky. That is why every year I purchase a bouquet of flowers from any place that is as convenient as possible. I will go out of my way for Mother, but only slightly. When Mother has something in her blessed mouth, she stops talking, which can be tiring after a day of protecting her from out of the house. Mother is my number two love following Jesus Christ, but preceding Steve Bannon, with whom I also spend some time. This was my attempt at a joke. Ha ha. 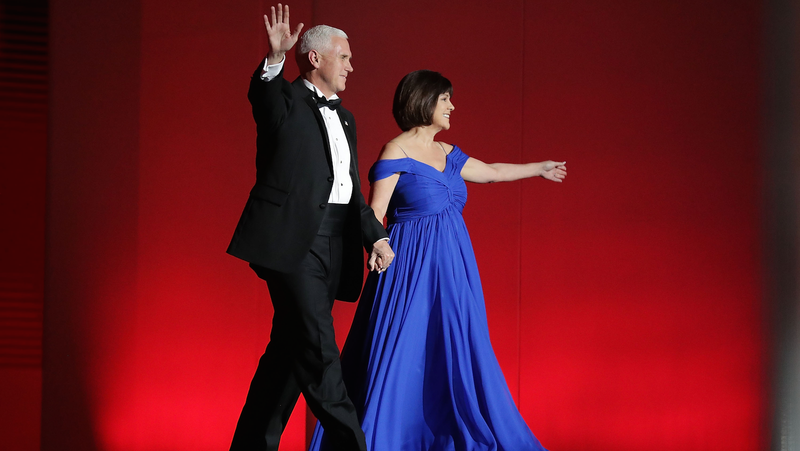 It can become awfully boring sitting at home, day in and day out, waiting for me, Mr. Pence, to return home. This is why it is important to give Mother a compliment one time per year, so that she has some food for thought for the next 365 days, other than the words of the Bible, which cycle through her head on endless repeat. This is also why some women will not immediately answer you or why their eyes look blank and distant—because they are thinking about either You or God or both. It is the Christian holiday of love, after all. I do not thrust because then I would come and dirty Mother’s sheets and I would be scolded (Mother’s domain is the bedroom). So I lie still and wait for Mother to say, “That is enough,” and then I roll over to my side of the marital bed and lie still until morning.